The Children’s Library strives to create an exciting place for fun and learning. 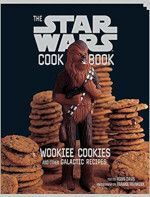 Materials include books, audio books, magazines, DVDs, CDs, puppets, and video games. Programs include summer reading, Saturday family events, enrichment programs, story times, computers, outreach services, and teacher loans. The Hudson Library’s study rooms may now be reserved online. The library’s study rooms are available for individual quiet study, group study, tutoring and small meetings. Reservations are available for up to one week in advance. Sat. April 27, 11:00 a.m. 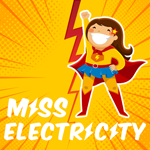 Kids can learn all about Greek mythology, electricity, and rising above bullying all at once as the Columbus Children's Theatre presents a dynamic performance of Miss Electricity! This show is recommended for grades K to 6. Please register everyone attending. Calling all Pokémon Trainers, Dungeon Raiders, Magic Gatherers and Board Game Players! 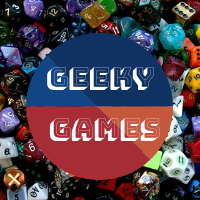 Come to the library to enjoy two hours with other geeky gaming enthusiasts. 10 a.m. and 2 p.m.
Children ages 2 to 5 can explore a different STEAM concept every month through stories, songs and crafts. There is still space available in many of our spring story times, or checkout one of our new afternoon drop-in family story times. Registration is required unless otherwise noted. Get ready to blast off to an extraordinary summer! Registration to begin in May. Need to recharge your battery? Registration required. Call (330) 653-6658 or Register Online. Join us for a DIY series to learn about and practice upcycling and fabric arts skills. Each month, we will make a new fabric arts project out of existing materials. DIY Club meets the last Thursday of each month from 4:30-5:30pm in the Teen Room. This program is for grades K-5. Registration is required. 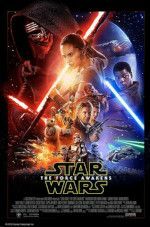 Apr 25, 7:00 p.m. - 8:00 p.m.
Apr 27, 10:00 a.m. - 12:00 p.m. Calling all Pokémon Trainers, Dungeon Raiders, Magic Gatherers and Board Game Players! Come to the library the last Saturday of each month and get a chance to trade Pokémon cards, take part in a Dungeon & Dragons Campaign or have fun playing a new or favorite table top game. 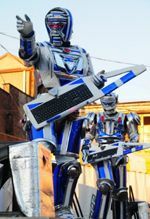 Bring your Pokémon cards, D&D dice or other gaming favorites and enjoy two hours with other geeky gaming enthusiasts. This free program is for all ages and no registration is required. A special Wednesday evening performance by an octet from the Cleveland Orchestra Youth Orchestra will perform the Schubert Octet in F Major, part of the repertoire slated for the Cleveland Orchestra Youth Orchestra June 2019 European Tour. No registration required. May 2, 7:30 p.m. - 8:00 p.m.
Spring has sprung so come in for some pajama fun! 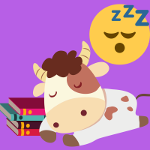 Wear your jammies and bring your favorite stuffed animal for an evening drop-in storytime with stories, songs, and a special snack. No registration is required. For families with children ages 2 and up. (infant siblings are welcome to attend). 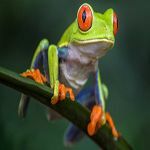 Join us for crafts,songs and stories as we learn about the fantastic frog at this program for children ages 2-5 with a caregiver. May 4, 11:00 a.m. - 12:00 p.m. Tea and books is the perfect pairing for a wonderful tea for mom and me! Come celebrate Mother's Day at the library with a tea party! We’ll have food, refreshments and a craft. For children ages 4 and up and the special lady in your life - Grandmas welcome too! Registration is required. Please register all attending for one of the two sessions. May 4, 1:00 p.m.- 2:00 p.m. In this final concert of the Classical Music for Everyone Series, members of the Akron Symphony will present music from the Classical period, exploring chamber works by familiar composers (Schubert, Haydn and Mozart) and less well-known, but influential composers (Salieri, Boccherini and Chevalier de Saint Georges). This concert was postponed from Sunday, January 20. No registration required. May 6, 4:30 p.m. - 5:15 p.m. Afternoon Adventures - a monthly exploration into environmental science for children in Kindergarten to second grade. Each session will include a read-a-loud story, a group discussion with a hands on activity and end with a craft. This free event is for children grades K-2 only. May 9, 4:30 p.m. - 5:15 p.m.
Join us for Bookworm Buddies our book club for children K- 2nd grade. Our last monthly meeting of the year is May 9th from 4:30 – 5:15. In this parent/child book club you’ll read a book together and then come for a discussion, fun activities and a snack to go with it! 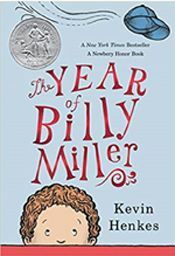 For May 9th, we’re reading The Year of Billy Miller by Kevin Henkes. Join us as we celebrate 50 years of Eric Carle's classic The Very Hungry Caterpillar with a special reading of the book, crafts and live caterpillars! Come mine and craft on our multiplayer Minecraft server! For grades 2-6. This is the 11 am session, please only register for one session. This is the 2 pm session, please only register for one session. 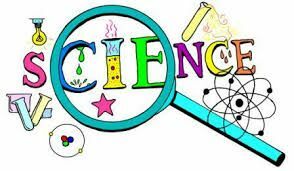 Join us as and create a STEM based project… all from things you could find around your house. For Grades 3-5. May 16, 4:30 p.m.-5:30 p.m. Calling all budding artists in Grades 3-5: learn about an artist's style or an art movement and then try it for yourself! Art Club meets the 3rd Thurday of the month from 4:30-5:30 pm in the Teen Room. Registration is required - for children in Grades 3-5. May 17, 10:00 a.m. - 10:30 a.m. Toddlers love getting creative and messy! We let small hands take the lead in this artsy storytime where children 16 months to 3 years and their caregivers will create art using a variety of materials. Registration is required. Please register your child for only one of the two sessions. May 17, 11:00 a.m. - 11:30 a.m.
May 17, 1:30 p.m. - 2:00 p.m.
Come join us for creative, open-ended art using a variety of tactile materials such as paint, glitter, glue and more in this artsy story time for preschooler’s ages 4 and more and their caregiver. Registration is required. Please register your child and list the name of the adult attending. Don’t forget to dress to get messy! Participants can explore the wonders of space through dance with the Hudson Conservatory of Ballet. All ages are welcome to enjoy a story and demonstration, and practice some dance moves. Night Owls, a 10-piece ensemble tuxedo clad ensemble, will perform music from the 1920s and 1930s Jazz Age. The group’s repertoire includes songs such as ‘You're the Cream In My Coffee”, “A Hot Dog, A Blanket, and You”, and “Crazy Words”, “Crazy Tune”, as well as fox trots, waltzes, and standards of the 1920's such as "Baby Face". All are welcome. No registration required. May 20, 4:30 - 5:15 p.m. Calling all young artists: come learn about art and create some too! May Art Crew will meet on Monday, May 20th from 4:30 -5:15 pm in the Teen Room. Registration is required - for children in Grades K-2. 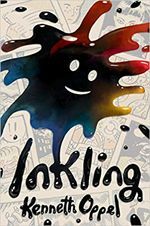 Readers in grades 3-5 can discuss Kenneth Oppel's Inkling: A brilliantly funny story about how a little ink splot changes a family forever. Registration is required. Copies of the book are available at the Children's Room desk. May 25, 10:00 a.m. - 12:00 p.m. Registration required, begins Apr 28. Call (330) 653-6658 or Register Online. On Tuesday, May 28th at 2p.m. teens are invited to come and decoratre their own squishy! Pick from a multitude of plain squishies and decorate your own with fabric paint! This program is for teens ages 11-18. Registration required. May 29, 10:00 a.m. - 1:00 p.m. Registration required, begins Apr 29. Call (330) 653-6658 or Register Online. Students going into grades 4 to 9 looking for an opportunity to volunteer this summer can help out in the Children's Dept during the Summer Reading Program "A Universe of Stories." 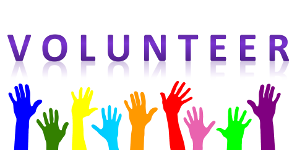 Participants must attend one of the volunteer training sessions. Wednesday, 5/29, at 10:00 a.m.
Thursday, 5/30, at 5:30 p.m.
Saturday, 6/2, at 1:00 p.m. The nationally-renowned dog trainer and author of The Big Book of Tricks for the Best Dog Ever will perform his high-energy show featuring tricks, stunts, athletic feats and interactive crowd participation with trained dogs that have been rescued from pounds and shelters. All ages are welcome, but please leave your own 4-legged friends at home! Copies of his book will be available for purchase and signing courtesy of The Learned Owl. Registration required, begins Apr 30. Call (330) 653-6658 or Register Online. May 30, 5:30 p.m. - 8:30 p.m. 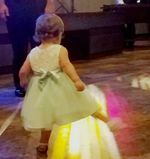 Babies, toddlers and preschoolers can dance the morning away with their caregivers! With a craft, music and bubbles, it'll be a morning to remember! Please register everyone attending including caregivers! Jun 1, 1:00 p.m. - 4:00 p.m.
Amethyst Strings Quartet will present a program of colorful Spanish music including "Eres Tu," "The Bullfighter's Prayer," "Besame Mucho," "Gracias a la Vida," selections from Carmen and West Side Story and tango music. All ages are welcome. No registration required. Registration required, begins May 3. Call (330) 653-6658 or Register Online. Children of all ages can kick off the summer with some effervescent iridescent fun! Bubble Lady Susan Durante joins us again with three shows featuring bubbles, bubbles, and more bubbles! Please register everyone attending for one of three sessions. Our 2019 Summer Reading Program - A Universe of Stories - is generously sponsored by The Friends of the Hudson Library, Hudson Preschool Parents, and Hudson League for Service. Everyone's favorite dance sensation will rock the library as only they can - all are welcome, no registration required. Jun 9, 2:30 p.m. - 3:30 p.m.
Keep your reading skills sharp over the summer while having a furry, fun time! Children of all ages are invited to practice their reading skills while reading to a dog. 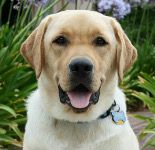 All dogs are certified by Therapy Dogs International. Children are encouraged to participate as often as they would like throughout the summer! Jun 21, 9:30 a.m. - 10:00 a.m. Registration required, begins May 21. Call (330) 653-6658 or Register Online. Kindermusik is the leading music and movement program for children in early childhood development. We offer three sessions, all with a licensed Kindermusik teacher: ages 0-2 (with a caregiver) at 9:30 and 10:30, and ages 3-5 (children only) at 11:30. Registration is required and begins one month prior to the event, at 7:00 a.m.
Jun 21, 10:30 a.m. - 11:00 a.m.
Jun 21, 11:30 a.m. - 12:00 p.m.
Jun 26, 4:30 p.m. - 5:30 p.m.
Jun 29, 10:00 a.m.- 12:00 p.m.
Where in the Universe is Waldo? 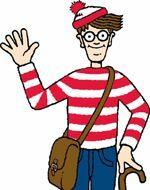 Waldo lovers can follow the clues to track down our library Waldo in this special storytime and scavenger hunt. For children going into grades K to 2. Registration required, begins Jun 9. Call (330) 653-6658 or Register Online. Kids going into grades 2 to 6 can learn and practice yoga movements and meditation with OneTreeLove instructor Lisa Meranti. Register once for all 4 sessions - please wear comfortable clothing and bring a mat. Registration required, begins Jun 13. Call (330) 653-6658 or Register Online. 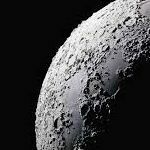 Gather the whole family and join us for an interactive and fun filled program on Saturday July 13 at 2:00 to help celebrate the 50th anniversary of the moon landing with Mad Science: Destination Moon. Learn about space flight, astronaut training and more! Jul 27, 10:00 a.m.- 12:00 p.m.
Aug 31, 10:00 a.m.- 12:00 p.m. The Children’s Library offers a variety of story time experiences to help children develop pre-literacy skills while having fun at the same time. Story times include stories, rhymes, songs, and craft activities dependent on the child’s age and stage of development. Babies and young children naturally learn and develop through play. The Born to Play room is an activity center for our youngest patrons that is rich in learning opportunities promoting early literacy. The center is funded by the Friends of the Hudson Library and includes a wide range of toys targeting different developmental areas. Hudson Library & Historical Society is taking part to encourage early literacy.